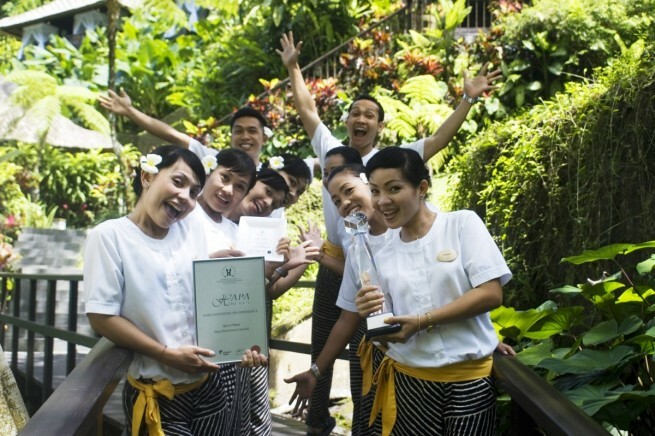 Maya Ubud Resort & Spa sits between the Petanu River valley and the verdant rice fields of Peliatan. 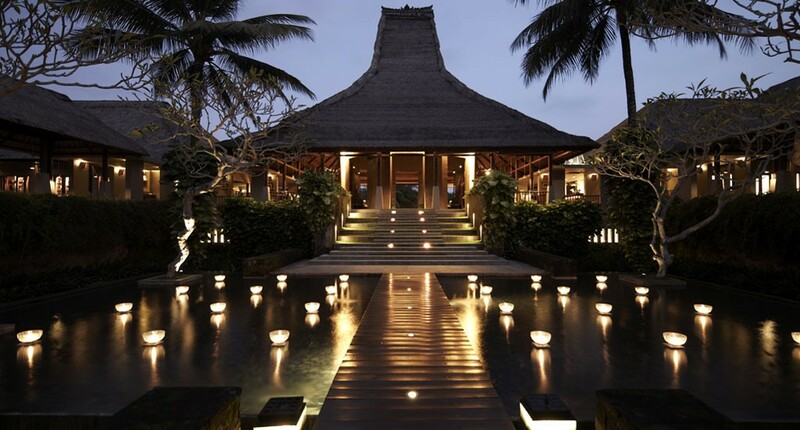 With 108 luxury guestrooms and private pool villas, it is around a one hour drive from Bali’s international airport. Dining alternatives encompass international and regional dishes, plus healthy spa-style cuisine and dinner with cultural performances. The Spa At Maya is nestled along the river and has private double and single treatment pavilions, offering revitalizing treatments that refresh body and soul. Recreation facilities include two swimming pools, tennis court, golf putting green, yoga pavilion and gym, village trekking, nature excursions and mountain biking. A shuttle bus links Ubud township. Balancing the human senses through holistic harmony is elevated to the highest level at the Spa at Maya. From the simplest treatment to an extended sensory journey, skilled and caring therapists have but one goal – to create memorable experiences for guests. Approaching the Spa at Maya is in itself the promise of something special. Descending by elevator to river level is like entering a secret realm of wellness and pampering. The lush river valley extends calm and tranquility as dappled sunlight adds highlights to the natural surroundings. From the central reception pavilion, walkways wind through lush foliage to private treatment pavilions, which are complete with daybeds overlooking the valley – ideal for after-treatment relaxation and refreshments, and with bathtubs, outdoor showers and toilet facilities. 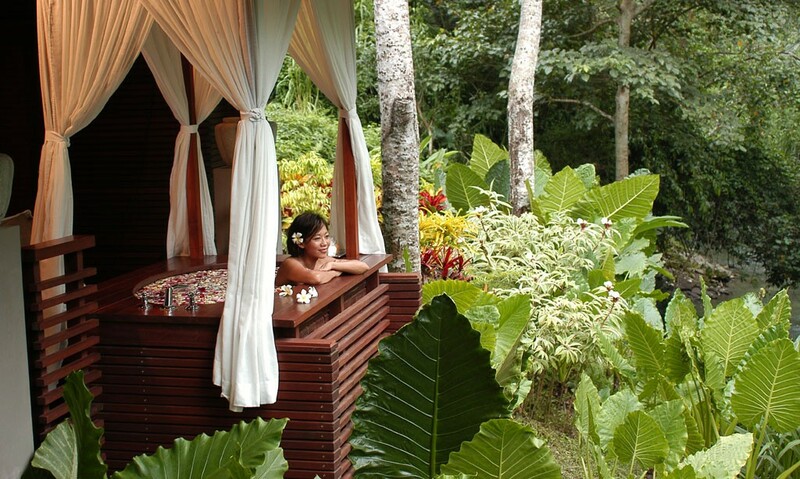 With views out to the rainforest valley on one side and the vertical gardens of the valley wall to the other, the pavilions are personal havens in which to enjoy a variety of specialty massages, body re-charge treatments and extended spa packages. Using traditional Balinese techniques with firm finger and palm pressure and nominal oil to ease away all bodily tension and invigorate the senses. Long strokes, combined with aromatherapy oils, lull the senses into a state of euphoria, leaving the body invigorated and the mind relaxed. Special foot treatment assists in the relief of stress and tension to all parts of the body via constantly flowing energy channels that improve wellbeing by restoring the natural flow of body energy. Foot reflexology works n the principle that all body organs are represented at the feet. by applying pressure to various point on the soles, the reflex nerves are stimulated that are systematically linked to all parts of the body. This ancient healing therapy aims to rebalance and harmonize the function of the entire body. Traditional herbal remedies have been used by the Balinese for countless generations in the belief that these applications warm the body, relieve tired muscles and alleviate minor rheumatic conditions. Therapeutic herbs assist in the removal of toxins from the body and refresh the skin. This treatment begins with a neck and shoulder massage, followed by a herbal pound of the entire body, cumulating with a scalp massage. An exotic traditional package with Maya massage followed by the choice of body scrub and flower bath. This pampering package finishes with a rejuvenating facial, leaving the feeling of total renewal. Our specially formulated Balinese massage is followed by a traditional herbal treatment and herbal bath that helps to relax and release stress. A choice of treat the feet therapy or reflexology completes that refreshing treatment. Revive with a relaxing Balinese massage and choice of body scrub. Following by a pampering fragrant flower bath to create a feeling of increased inner strength and emotional balance. This rejuvenation package begins with a soothing Maya massage followed by a choice of body mask. After showering, a refreshing early grey body lotion is applied to the entire body. A natural body scrub will help to keep skin soft, smooth and healthy-looking as well as nourished. Exfoliation removes dead skin cells from the surface and is followed by an aromatic flower bath. Indulge the senses with the aroma of chocolate. Not only does it taste good but it is also very therapeutic. A chocolate body mask can enhance serotonin levels in the brain, as well as detoxify moisturize and stimulate the circulatory system leaving the skin unbelievably smooth and sensually sweet. The Maya ubud have one of the best spas in the world!!!! I travel a lot. And this was my best spa experiance! !